1985 was a great year for super-geeks, wasn’t it? Sure, it may have been an exceptionally cold year for a large part of the United States, but it was also year Back to the Future was initially set in, as well as the year Billy Dee Williams (Mr. Lando Calrissian himself) was awarded a star on the Hollywood Walk of Fame. Yes, in 1985 — more than two whole years after the Famicom released in Japan — the NES finally made it to American shores. You probably noticed that the advertised NES bundle includes which was compatible with a whopping two games (until 8-Bit X-Mas 2014 was released, bringing the total to three). It also includes the Zapper light gun, compatible with games like Duck Hunt and Wild Gunman (a game that got a nod in Back to the Future 2). 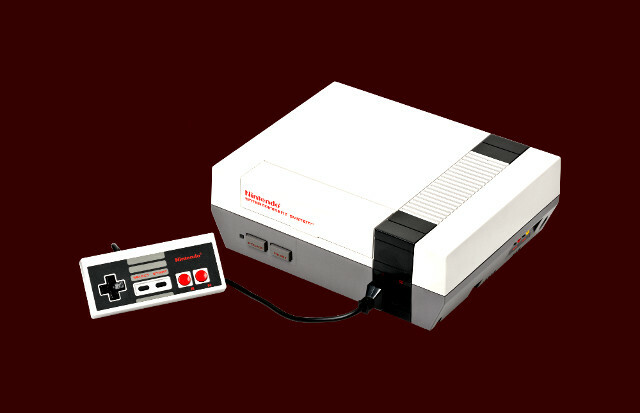 It’s everything a 1980s kid could ask for (minus Super Mario Bros., of course).